The red and blue Tesco logo with its brightly-lit aisles is as common a sight in the UK as the traditional kirana shops are in India. When we were invited to visit the retail giant’s Bengaluru facility, we did not know what to expect, since there are no Tesco stores in India. Yet. 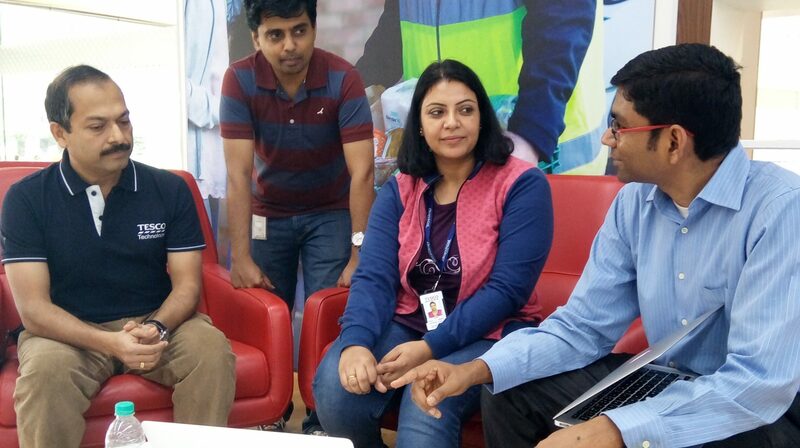 We talked to Shiva Chinnasamy, Director, Engineering and Technology at Tesco Bengaluru, about possible futuristic customer experiences at Tesco stores and retail industry in general, such as usage of deep learning algorithms, better assistance using natural language processing (NLP), face recognition technology to identify customers and understanding customers shopping preferences and behaviours and introducing industry innovations such as virtual fitting rooms or magic mirrors for customers to virtually try out different dresses and make the right decision. “…Technologies are important, but the more important thing is to bring it all together in a way that benefits the customers and the business, for example, a supply chain that enables delivery of anything anytime, on-time, anywhere and through anyone,” says Chinnasamy, who is responsible for Search and Recommendations, Digital Content and Product Lifecycle platforms and capabilities for Tesco stores and Tesco.com. Equipped with a Macbook, he began by telling us about the background of Tesco Bengaluru and what their operations revolved around in the city. “Tesco Bengaluru plays a critical and integral role in the global scenario of the company — right from building the technology for the stores, to range planning of products. As far as the global technology teams go (in three major locations, Bengaluru, UK and Poland), Bengaluru claims the largest slice of the Tesco talent. And for all intents and purposes it is counted as one of the extensions of the UK headquarters,” explained Chinnasamy. With over 6,809 stores in nine countries which generate a revenue of £55.9 billion, Tesco is UK’s largest grocery and general merchandise retail chain. It is also world’s largest and profitable online grocery shopping platform. Chinnasamy adds that if Tesco were to lay out all the shelves in their possession in a line, it would cover the entire equator! Talking about Tesco’s omni-channel shopping at scale approach, Chinnasamy explained that they valued their customer experience on the following parameters: Shopping for anything, anywhere; customised and personalised experience; instant gratification; seamless discovery and effortless ordering; transparency; security, trust; and value for money — which happens to hold true in every country. “We have noticed that for a large company like Tesco, following an industry fad rarely works. We cannot do well by copying anyone. Evolving our own ideas, with a customer first mindset, on the other hand, has worked very well for us. There are number of things that the other companies may do to follow a trend, but we are focused on the customer,” he said. Tesco Bengaluru is also working with voice, VR and IoT, along with prototypes based on block chains which would help them build transparency and trust. Location-based services, biometrics and image recognition technologies are also being implemented in Tesco supermarkets across the globe. 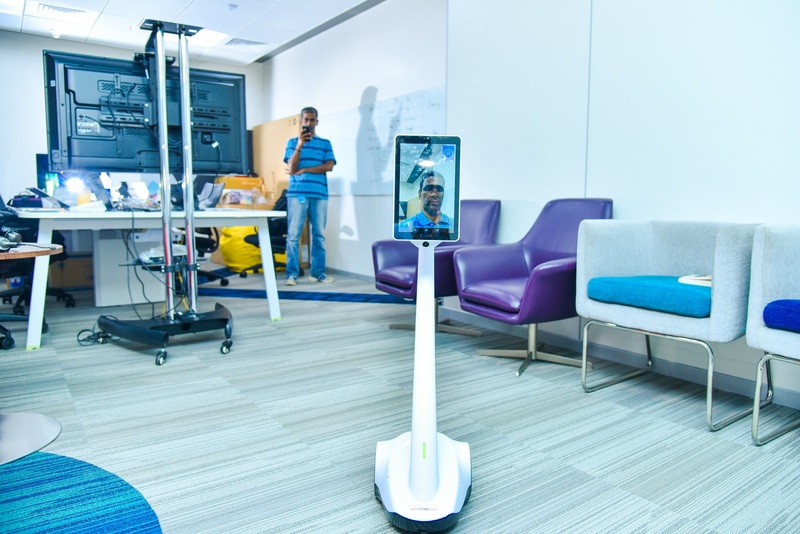 For example, Tesco Bengaluru already uses bots with hand-held devices similar to a tablet or a phone that roams about their campus, enabling people to talk to each other. They also use a virtual reality headset that allows the Indian counterparts to take a virtual tour of the Tesco stores located across the globe and interact with their counterparts. As India, especially Bengaluru, is hailed as greatly equipped to furnish talent in this industry, we ask Chinnasamy to elaborate. “If you want quality talent at a large scale, yes we face the problem. This is one of the key problems faced by large companies who have set the bar for talent very high. We are going to most top tier engineering colleges for campus placements and aggressively recruit in the market.. but yes, it is still one of the major challenges we face,” he signs off.